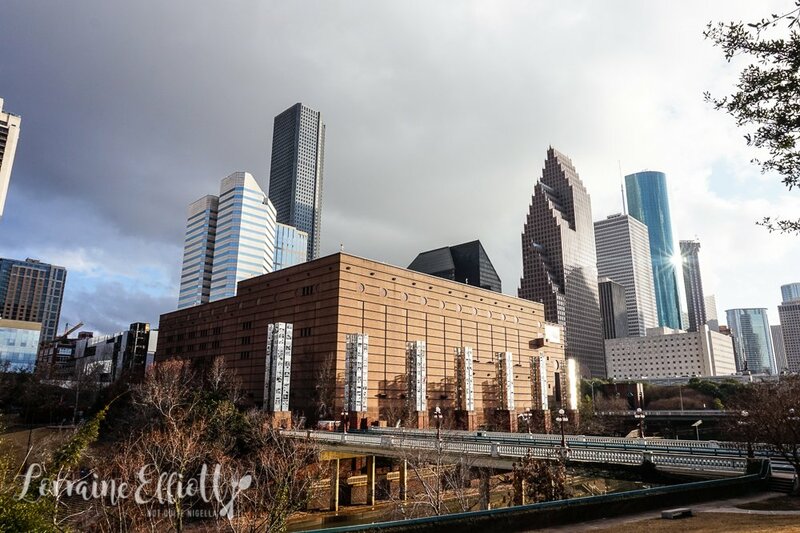 Houston is America's fourth most populous city and is all about a big city experience (and when Houstonians say something is big, they mean it). 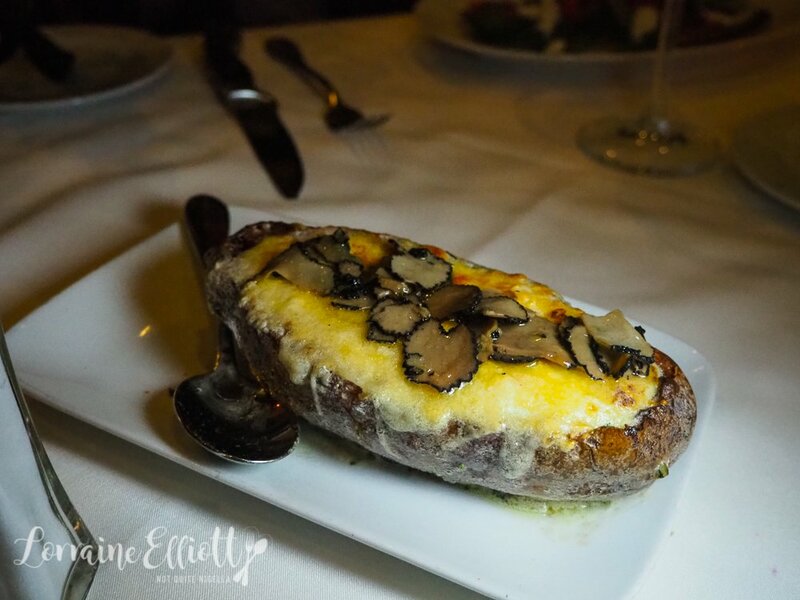 It's where you can eat a filet mignon steak topped with black truffle sautéed Maine lobster, watch an unforgettable basketball game or visit NASA and stand in Mission Control where people launched space shuttles! 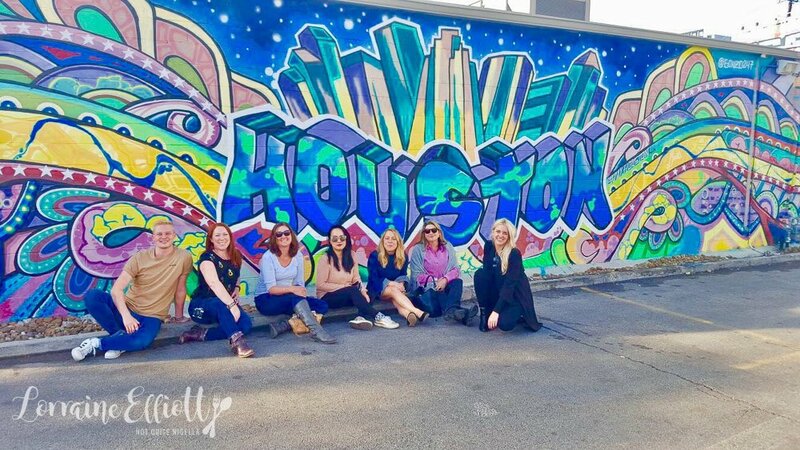 Here's a 48 hour itinerary to make the most of Houston! Houston is a city know for a few things: space, oil and money. 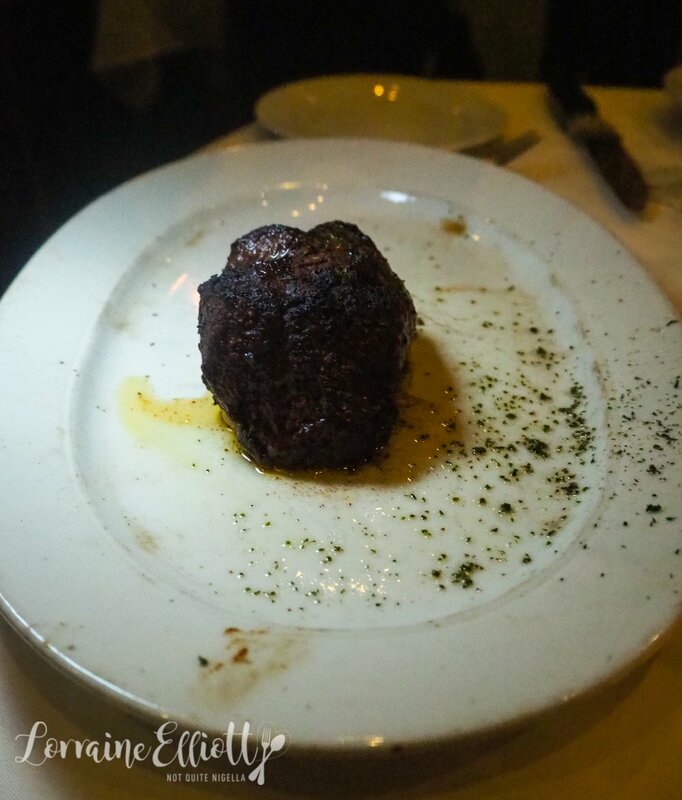 People also love to give recommendations when they find out you're writing about Houston food. Even when I passed through immigration, the officer stopped everything to tell me his favourite places to eat and then proceeded to pass his number over to me should I need any further names or details. "I'm a fat person at heart," he says before reeling off a list of taco places, high end places and in between. 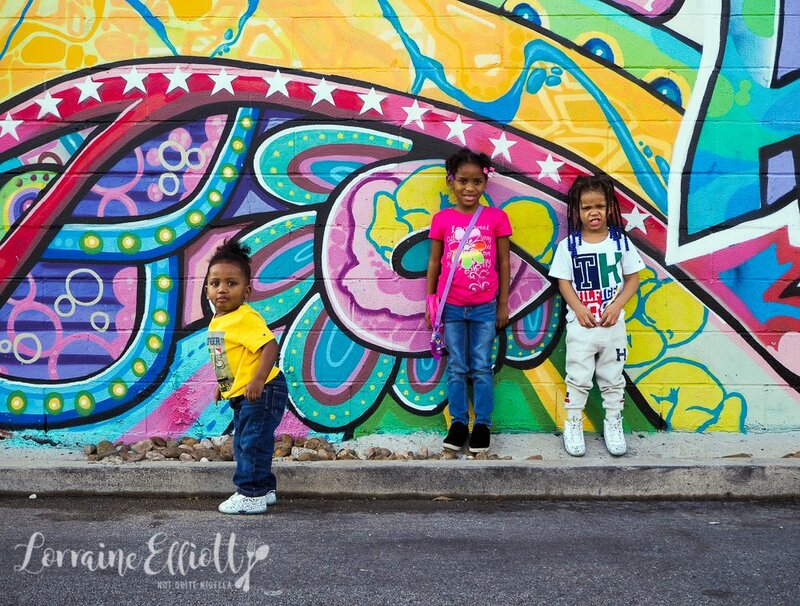 If you're a fan of photography, street art or selfies then put aside some time to spend at Graffiti Park, near the downtown area of Houston. Here incredibly talented artists spray paint political messages and stunning designs. The area is a magnet for photographers and Instagrammers because of the variety of designs and the colours. It is a popular place to take selfies, professional or amateur - at any time there will be 2-3 people engaging in a photo session, sometimes with their own crew or lighting. 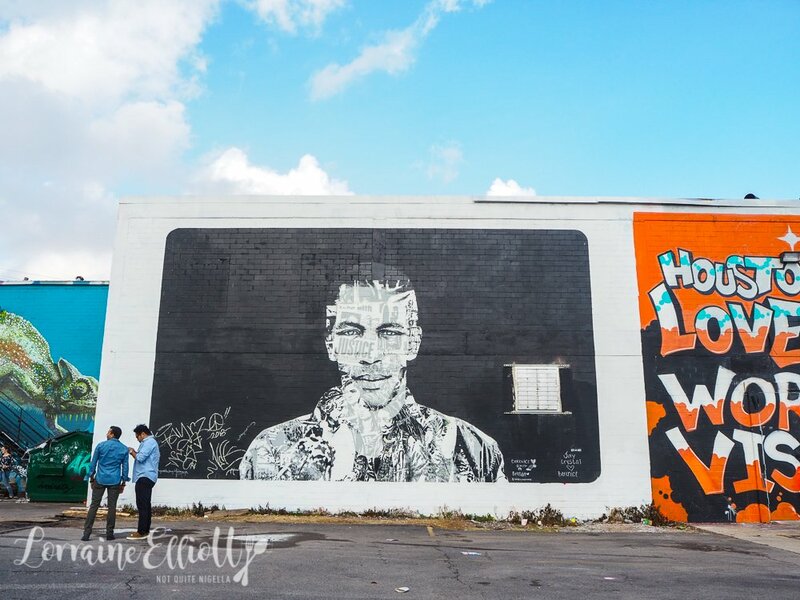 Artist GONZO247 became famous after his Houston graphic became one of the most popular walls and his work is now used in the tourism board's advertising campaign. If you want a picture to remember, stand in front of the two wings on the place where footprints lie and you can become a graffiti angel. 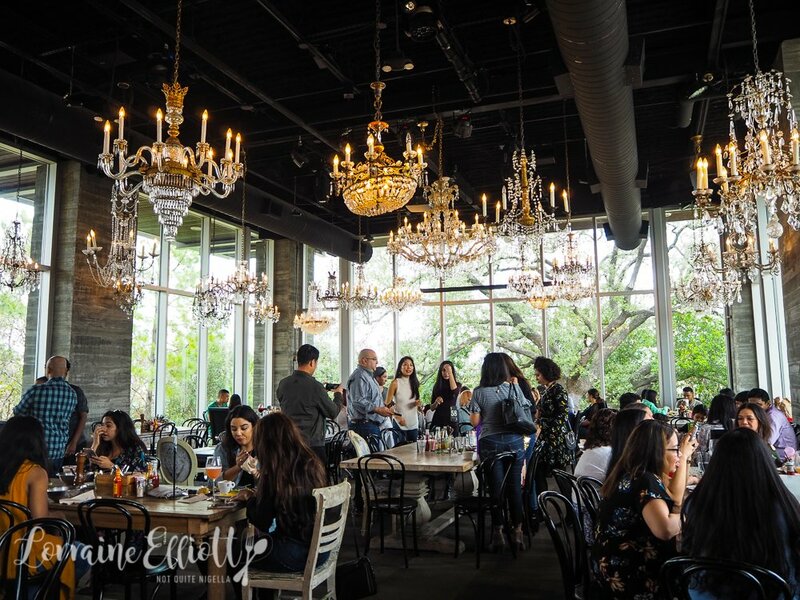 Come weekend brunch time the place that you will find many Houstonions lining up is at The Dunlavy located just near along the bayou. They don't take bookings so you'll just have to join the queue and wait the 20 or 30 minutes or so to join locals for brunch. 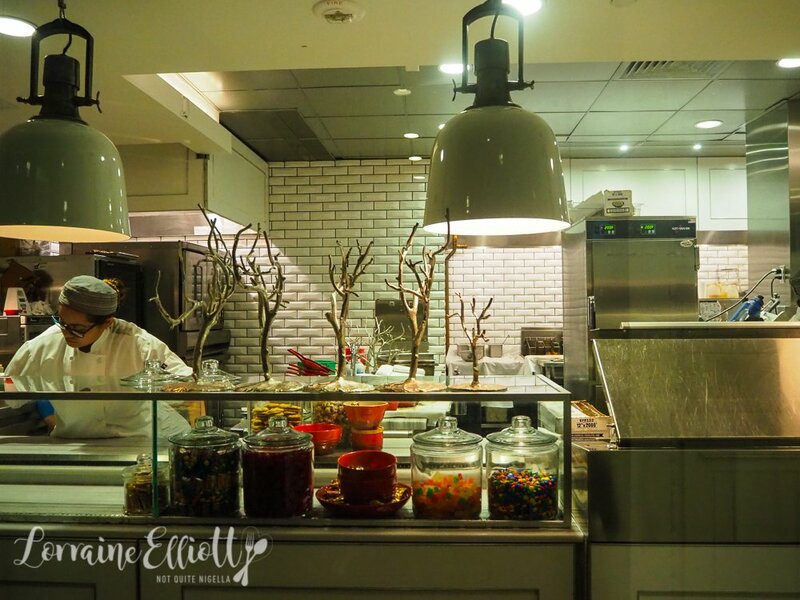 When you arrive to the front of the queue they'll take your order at the counter and give you a table under one of the numerous chandeliers. The food will rapidly come out to you. 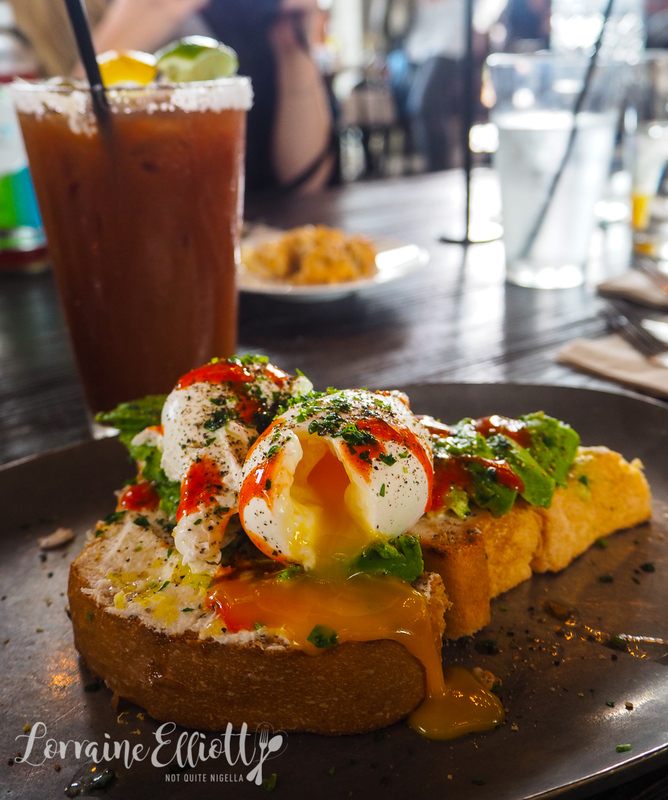 There are the usual brunch offerings of avocado on toast and poached eggs (at very reasonable prices) but there are also things like salads and sandwiches and the most popular is the turkey, brie and apple toasted sandwich on French white with honey mustard, olive oil mayo, granny smith apple, brie and rocket or arugula. 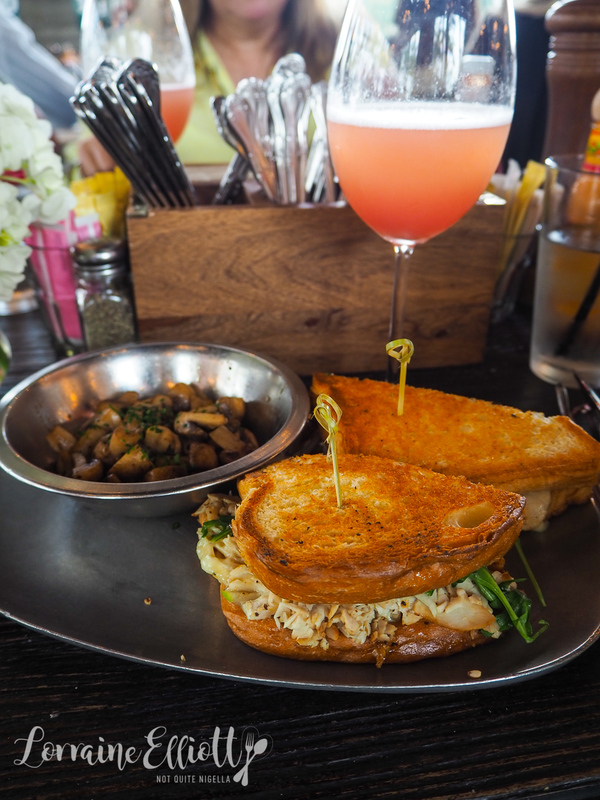 Sandwiches come with a side of your choice and I have sautéed mushrooms as well as a glass of white peach Bellini to wash it down with. 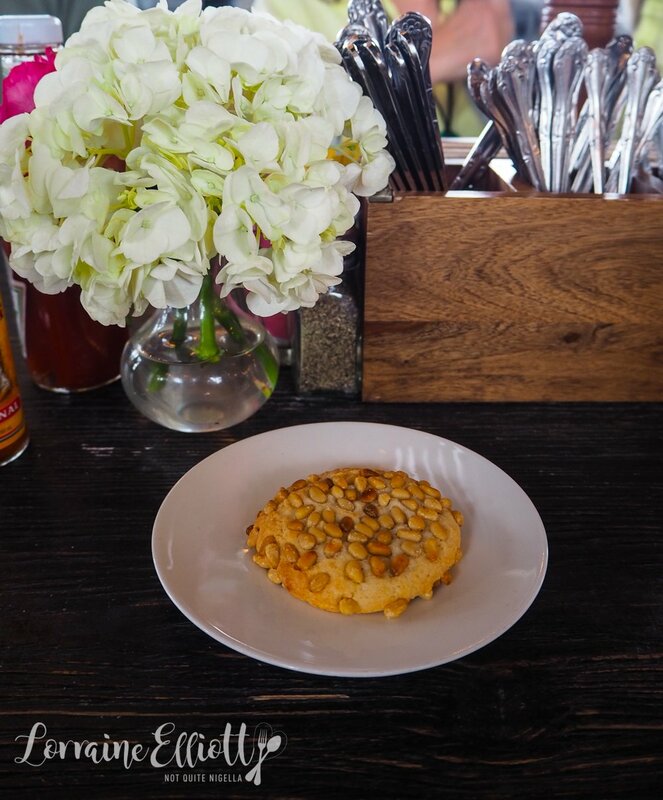 And then we finish with one of their Pignoli or pine nut cookies. There are plenty of places to shop in Houston but the River Oaks area is the toniest neighbourhood in Houston. You can see some over the top, stunning homes - some feature in an annual azalea trail where they open up their homes for inspection. Rumour has it that if the azaleas bloom earlier than expected these uber wealthy residents bring in ice companies to cool the blooms down. Buffalo Bayou Park is a 160 acre recreational park enjoyed by locals. 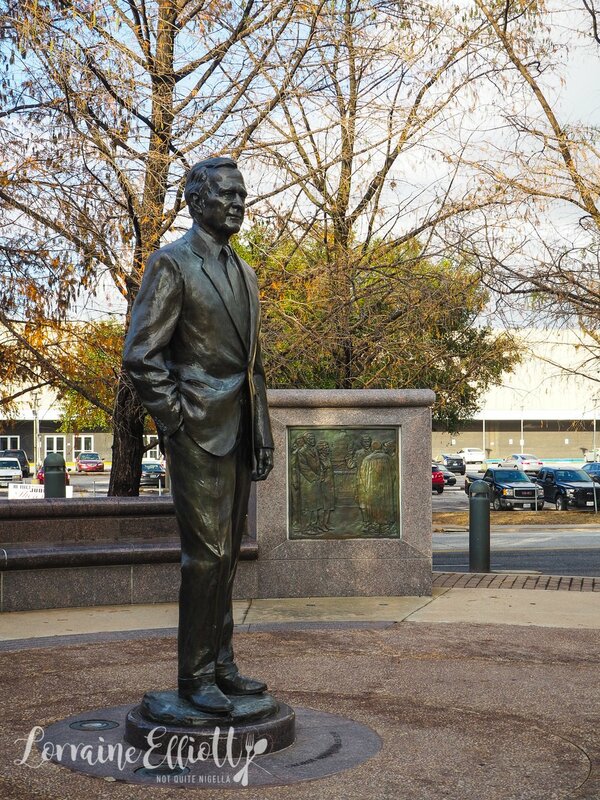 You can get a great photo of the Houston skyline from the George Bush Snr statue or book in for an underground Cistern tour that is also sometimes a temporary art space if that is your sort of thing. 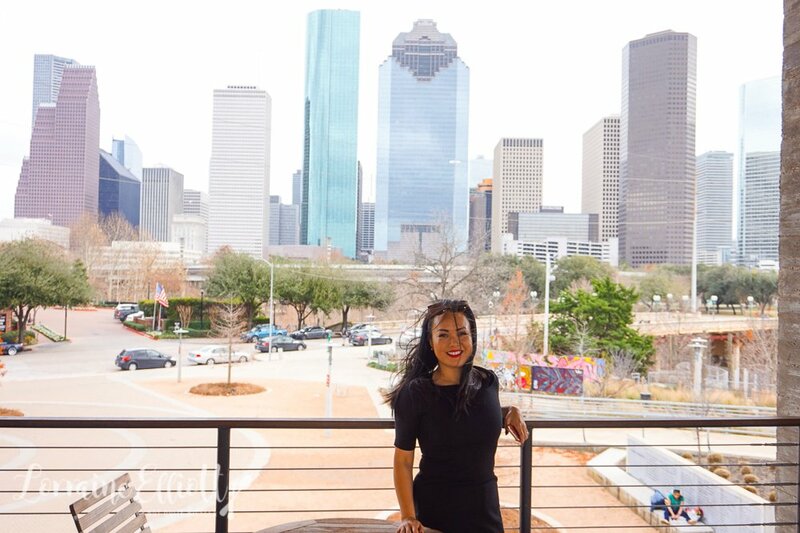 Just near the underground Cistern tour is supposed to be one of the most popular selfie spots with a view of the Houston skyline in the background. Or if you like shopping, Texas has tax free shops but make sure to take a peek at how to get your tax back here to make sure that you get your refund as it works differently than in Australia. I order the crab clusters. 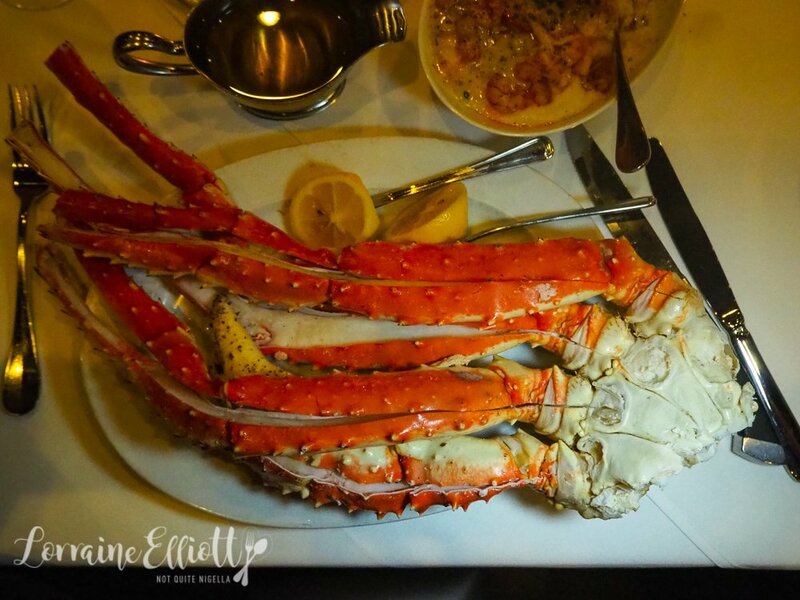 What I didn't expect was four enormous Alaskan king crab legs. They serve shellfish with clarified butter here but the Australian in me prefers sauce with a bit of piquancy to balance the rich crab. That's no problem and they bring out a Julius sauce as well as a Sriracha mayo. Sides are delicious and because everything is bigger in Texas, the list of sides numbers around 20 including the side specials. 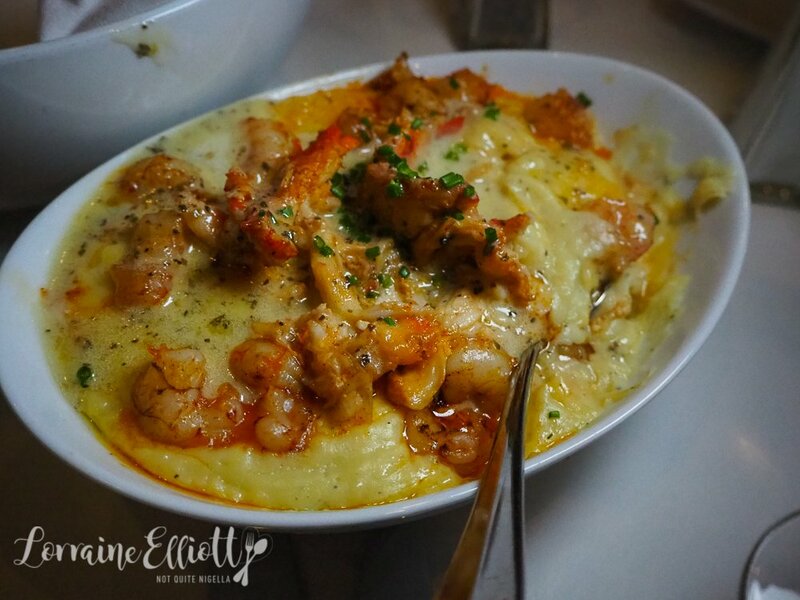 If the mash with shrimp on top is on that night you must give that a try with the truffled baked potato. The corn brulee is very sweet while the fries are sprinkled with parmesan. 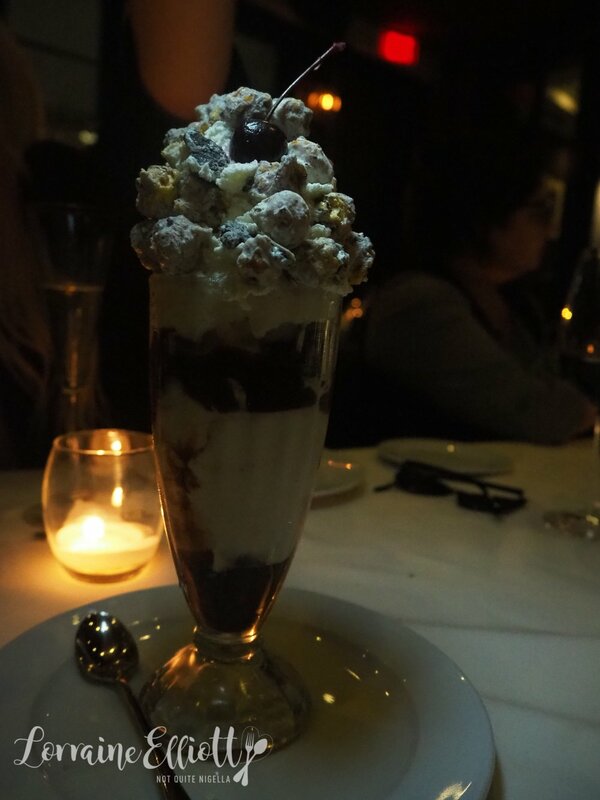 Desserts are also very good. The hot fudge popcorn sundae is an enormous towering glass with scoops of ice cream, hot fudge sauce and Oreo and white chocolate popcorn. Service is really lovely and helpful and they bring over a bowl and help me scoop the ice cream out into the bowl. 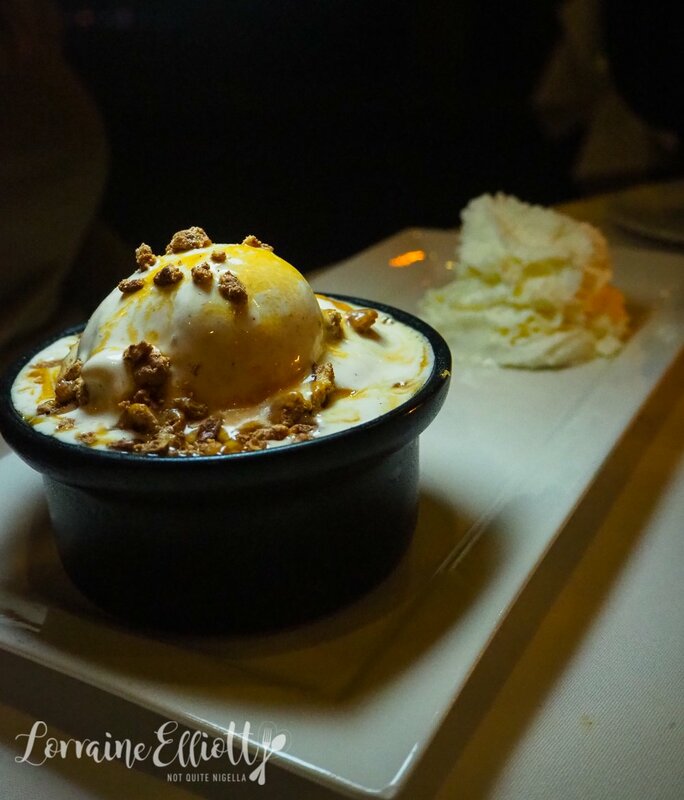 Their signature dessert is large enough for two and it's a warm vanilla caramel cake with a scoop of vanilla gelato with whipped cream and house made praline pecans. But a tip: there is a secret menu item and that is the beignets that are served on a metal tree. You do have to know to ask for them though as our waiter didn't tell us until it was too late! 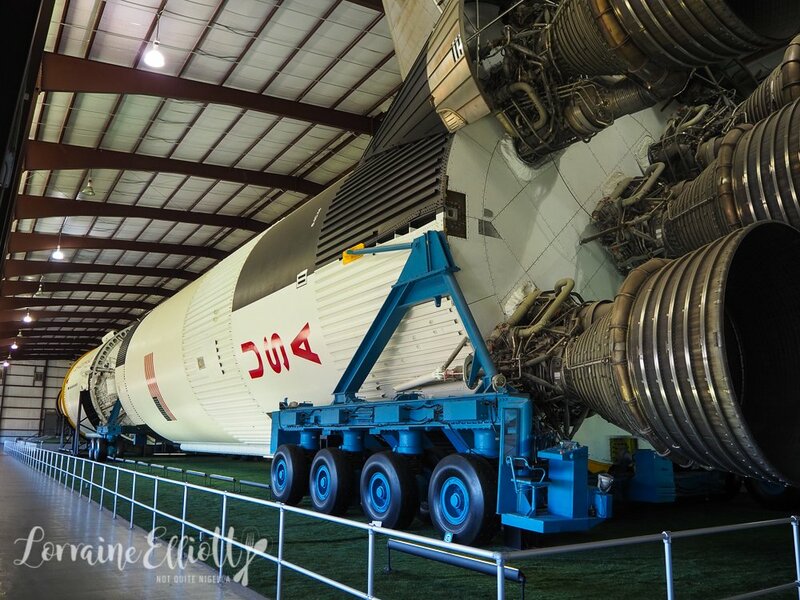 One of the things that Houston is most known for is of course being part of the Space Shuttle program and NASA. While space shuttles are launched from Cape Canaveral in Florida, they are controlled from Houston. The Johnson Space Centre charts the history of the space race from when John F. Kennedy pledged to fund NASA's missions with a simple one page letter, to specimens of moon rocks, meteorites and astronaut costumes. Did you know that it took astronauts around 2 hours to get in and get out of their suits? Nowadays it's about 45 minutes but it's still a laborious task. 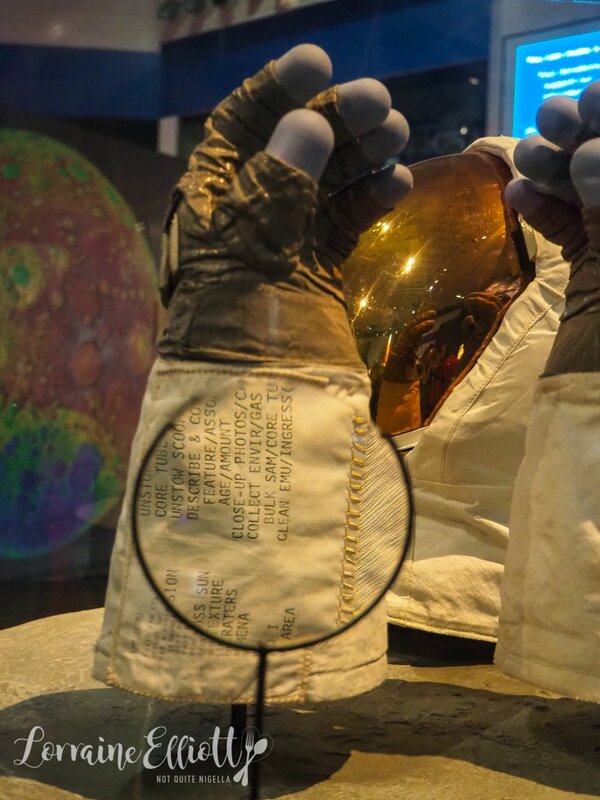 And if you take a look at Buzz Aldrin's glove and peer into the looking glass you can see his "cheat sheet" aka the carefully written instructions that remind him of the tasks that he needed to undertake while doing a space walk on the moon. 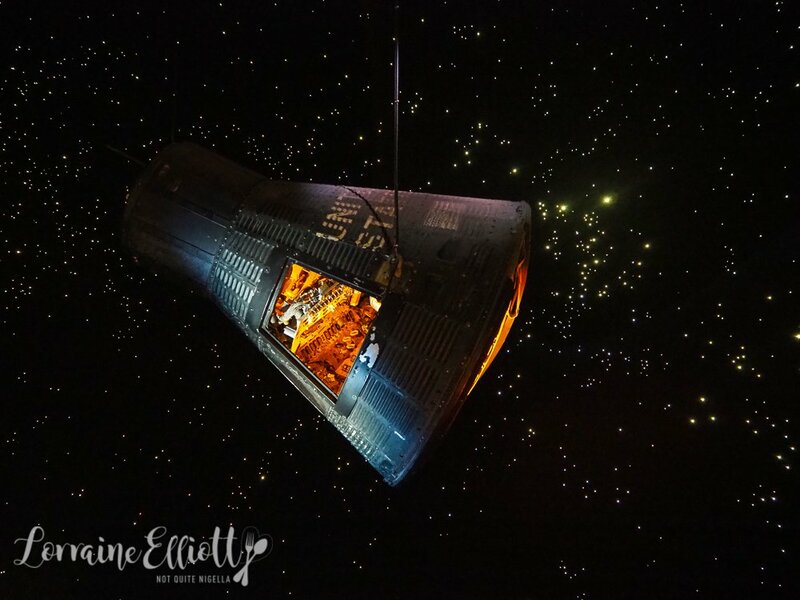 There are two parts to the visit: a ticket gets you entry into the Johnson Space Centre and a look at the comprehensive artefacts and it also gets you onto the trolley tour that is a behind the scenes tour of NASA. But I would recommend booking the Level 9 tour. 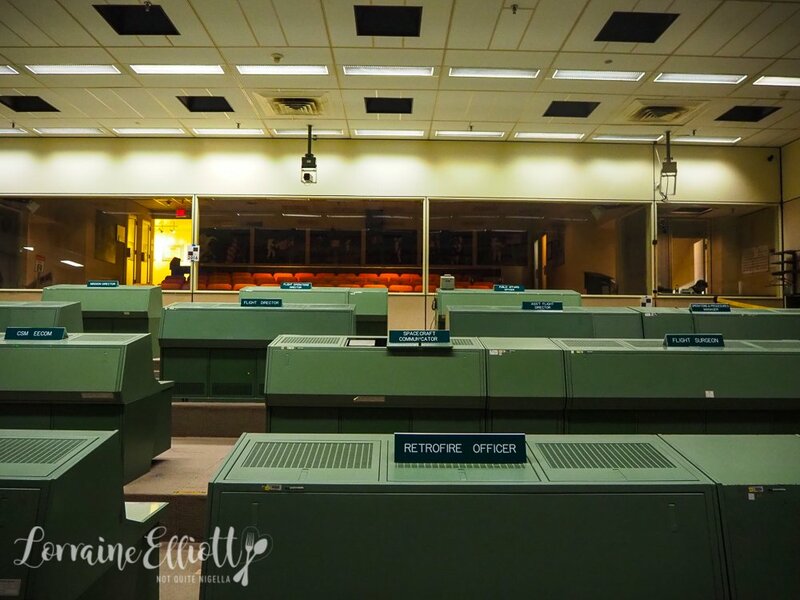 You'll have to pre-book this tour but this is the only one that allows you access onto the hallowed floor of the Mission Control room where so many people witnessed and controlled history with the press of a button with technology that used about 8 MB in total (the trolley tour gets you into the viewing room behind it). See where the Mission Director sits - they are the only one that can deny a president's instructions. You also get access to Building 9. 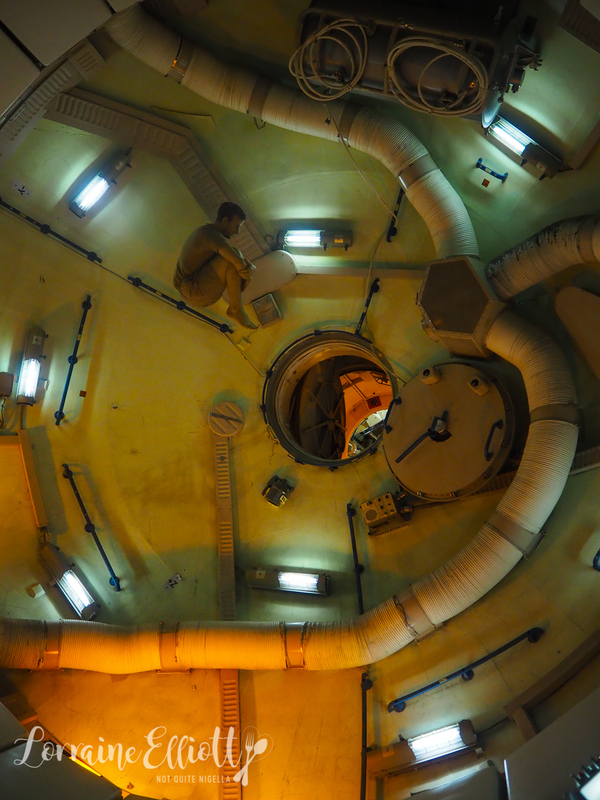 We follow self confessed Spacenerd and guide Sean Shoemaker into the building where astronauts train. It is also where the robotics team works creating robots to help make the terrain habitable prior to sending humans up. 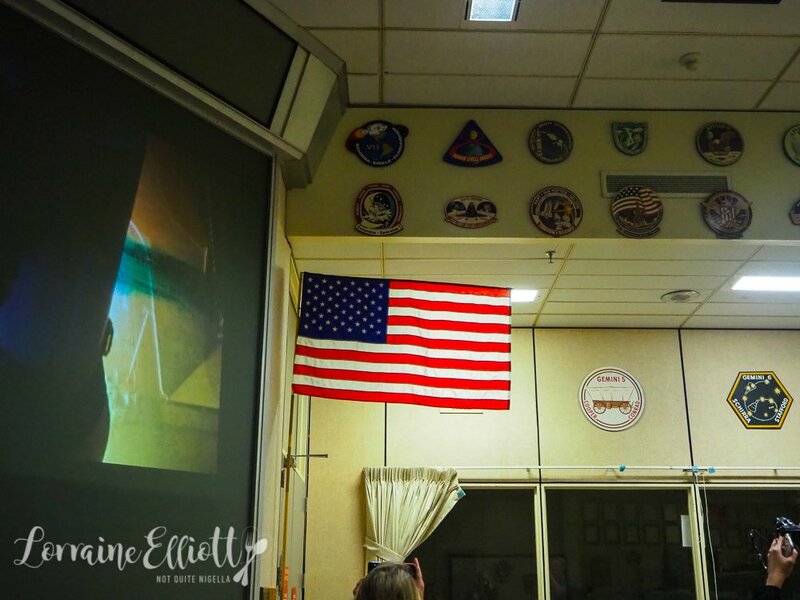 Astronauts and staff at NASA are taught to work as a team and to be able to make decisions under pressure. They're pushed to a breaking point and then taught how to cope with enormous decision making tasks. Worldwide there are currently around 100 astronauts. One qualifies to become an astronaut once they have completed the training and it can take anywhere from 3-6 years until they are tapped for a mission. And did you know that everything at NASA is an acronym and the acronym for an astronaut in training or an astronaut candidate? ASCAN! 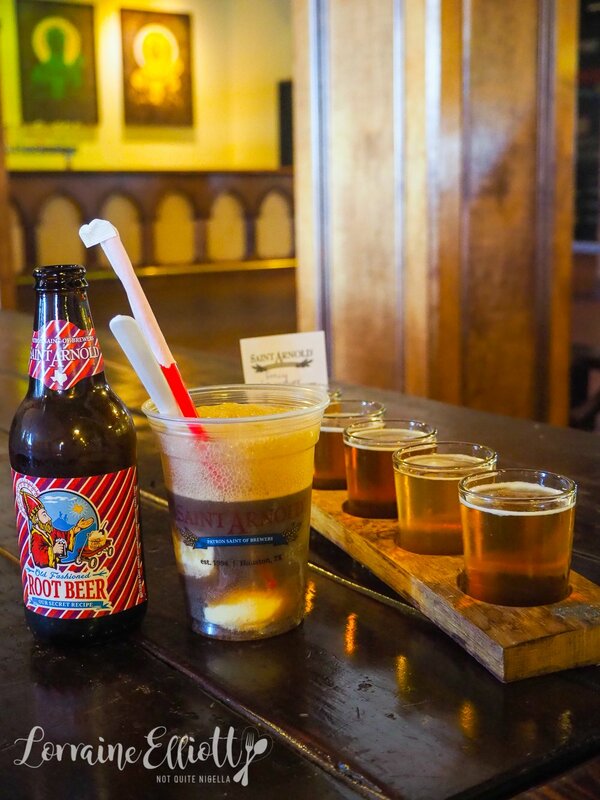 Saint Arnold's Brewery is named after Saint Arnold, the patron saint of beer. It is said that he would warn people off drinking water and instead encouraged them to drink beer instead. 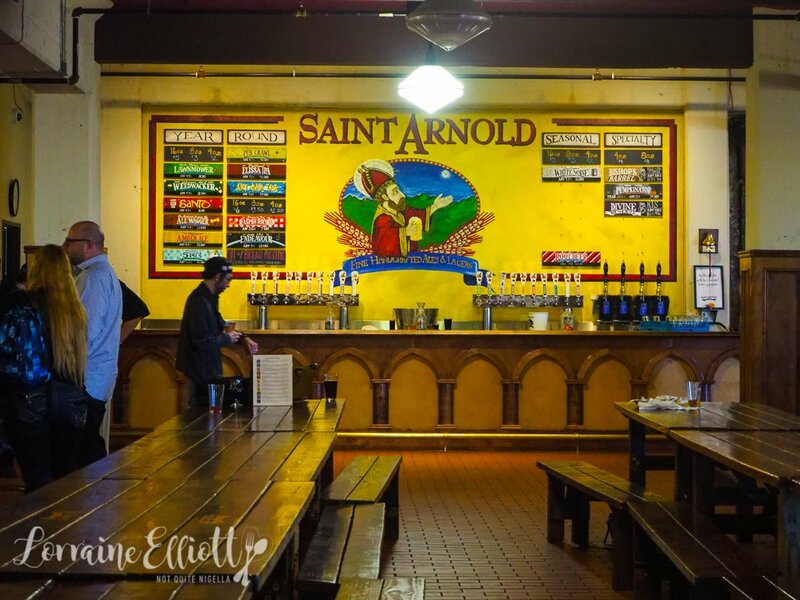 Saint Arnold's is Texas's oldest brewery and it is designed like a German beer hall. There are no televisions playing sport, just long share tables and good, hearty food and great beer. Start with a beer flight choosing 5 of your favourite sounding beers or let the knowledgeable staff choose for you depending on your preferences. The Raspberry AF is nicely tart and fruity while there is a good mix of hop forward and less hoppy beers - some beers support local animal charities like the Ale Wagger. 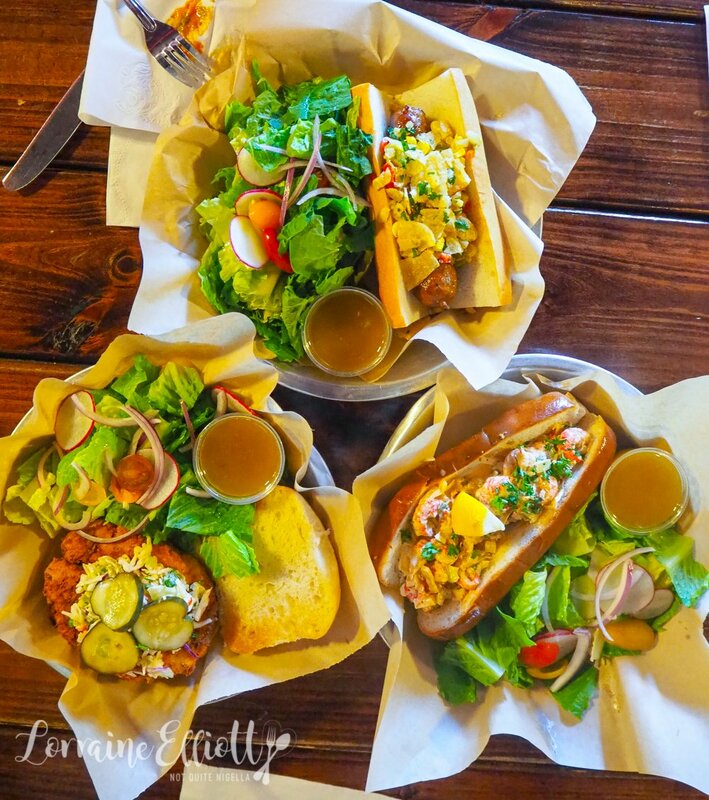 The food is a mix of German beer hall and American food. Take the wurst of the day, a Cajun sausage served in a bun with corn trinity slaw with Zapp's crumble. It's big and full of flavours as well as satisfying. The crawfish roll is a crawfish and mayonnaise roll on a buttery, soft challah roll that is also very good. The sandwiches come either with chips or salad (I wasn't a big fan of the vinegar dressing on the salad though). And yes look at those prices! 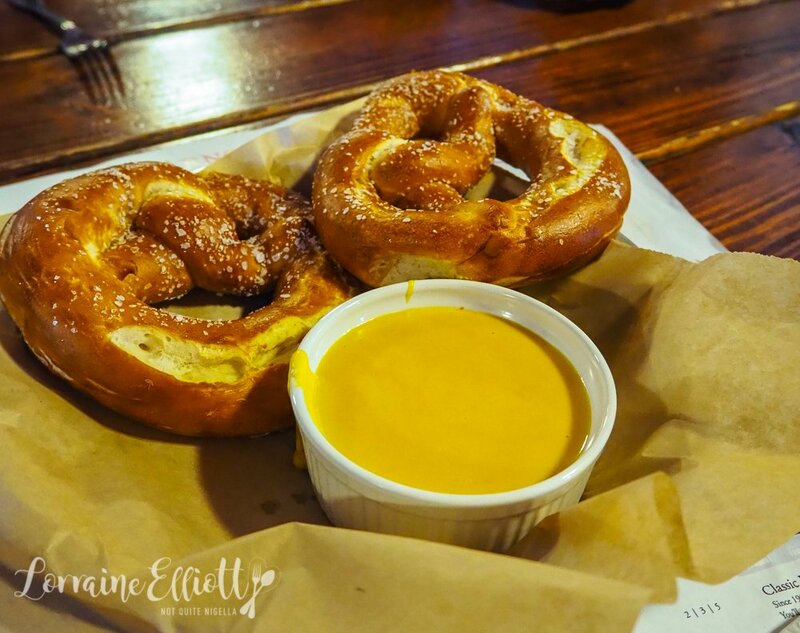 Lighter fare (and you must understand that it's all relative) comes as two hot fire soft pretzels with a beer queso cheese dip made with their Santo beer or chicken wings. And if you're undecided on the hand cut twice cooked fries, you can always go for something like the fries sampler plate. The "Fancy Lawnmower Sriracha" sauce combines their German style Kolsch Lawnmower beer with Sriracha sauce and blue cheese crumbles which is hot but manageable if you're versed in hot chillies. 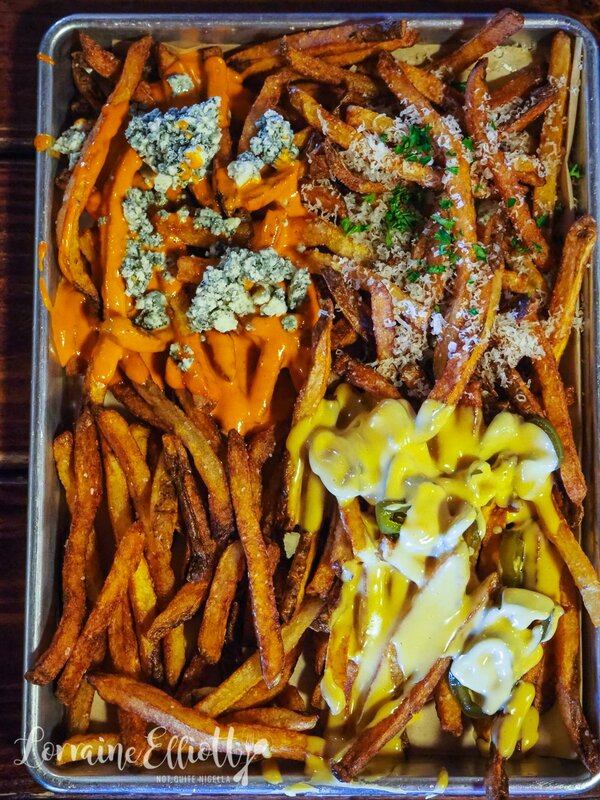 There is also santo queso liquid cheese and pickled jalapeno topped fries or truffle oil and parmesan or plain fries. 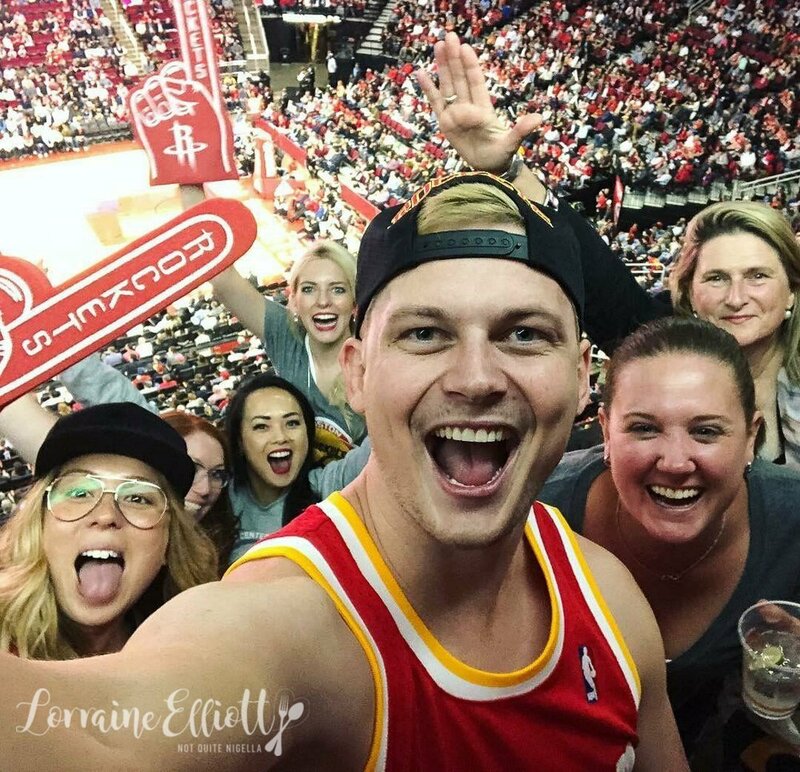 Watching live sports is quintessential American past-time and Houston's Toyota Stadium is one of the best locations to watch basketball from. The game itself is full of entertainment whether it be the basketball players, music, cheerleaders, canons shooting t shirts or tiny parachutes raining down on guests with sponsor vouchers. Honestly, for someone that doesn't really follow a lot of sport, this was one of the best experiences I've had (maybe I have an inner sports fan?). The food downstairs on offer can be barbecue, fries or hot dogs-there is a lot of choice. Or if you want you can watch it from one of the corporate suites high above. 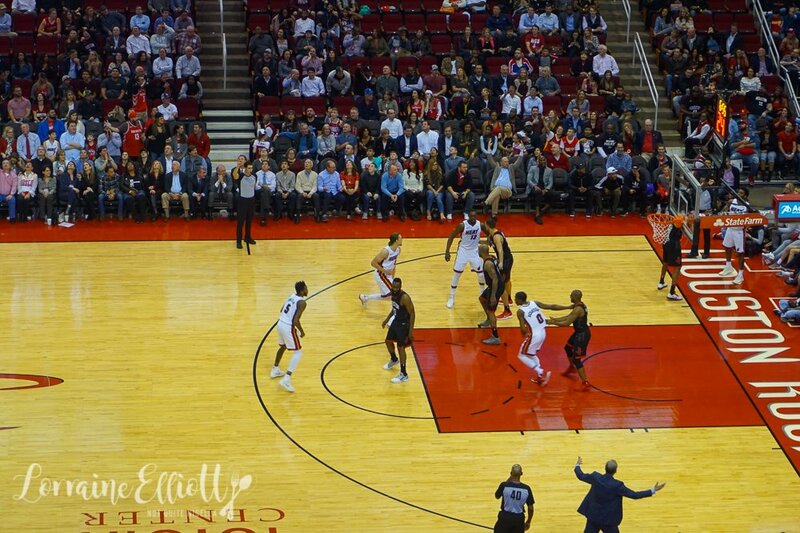 These can be booked by anyone and prices vary depending on the opposing teams’ categories. 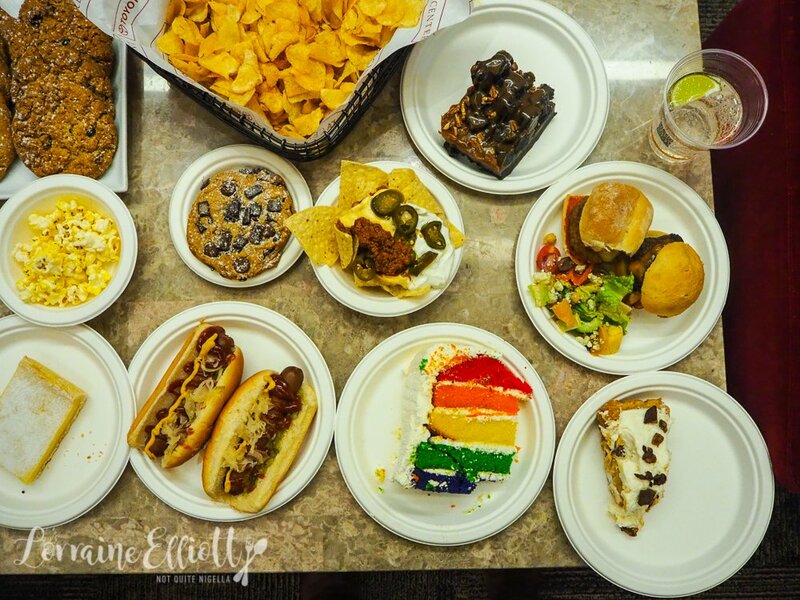 There is an open serve yourself bar and sliders, hot dogs and make yourself nachos are included. 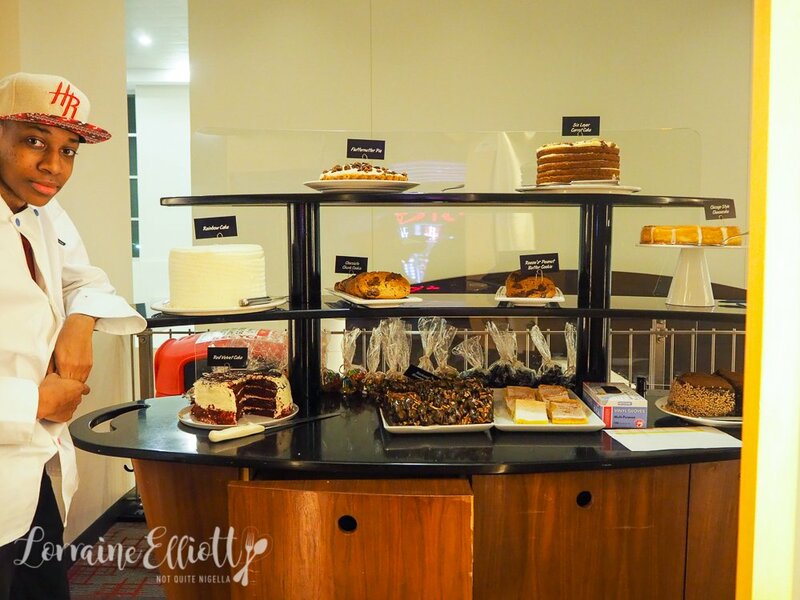 This is also where food dreams come true - midway through the game a dessert cart laden down with cakes rolled past and we chose our desserts (one of everything please!). 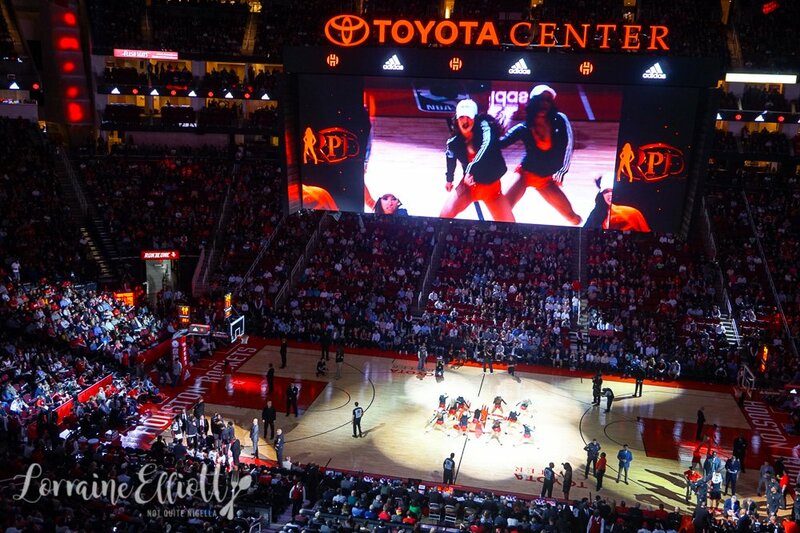 And you may even find yourself on the giant Jumbotron cheering the Houston Rockets win against Miami Heat as we did! 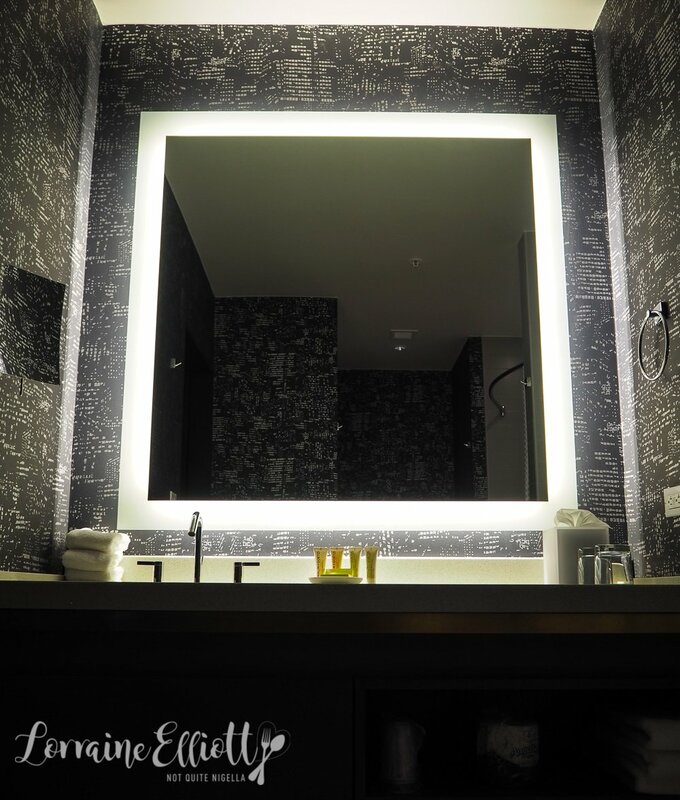 The Le Meridien downtown Houston in the middle of the CBD and opened just in September 2017 so it is very new. The lobby is located on the second floor and service is very helpful and friendly, especially from staff members like Christopher who help me get my SIM card connected with patience one rarely sees. My room #903 is a suite, one of the hotel's 34 one bedroom suites. 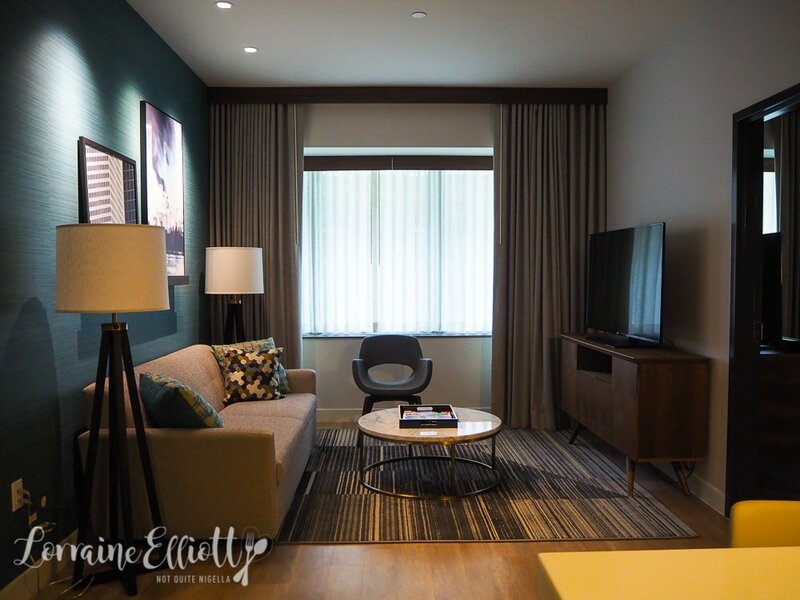 They're attractively outfitted with modern retro styled furniture pieces. The opening lounge room is spacious with a lounge and chairs as well as a table that can seat 4-6 people. There's a mini bar with complimentary water, Illy coffee and tea bags. 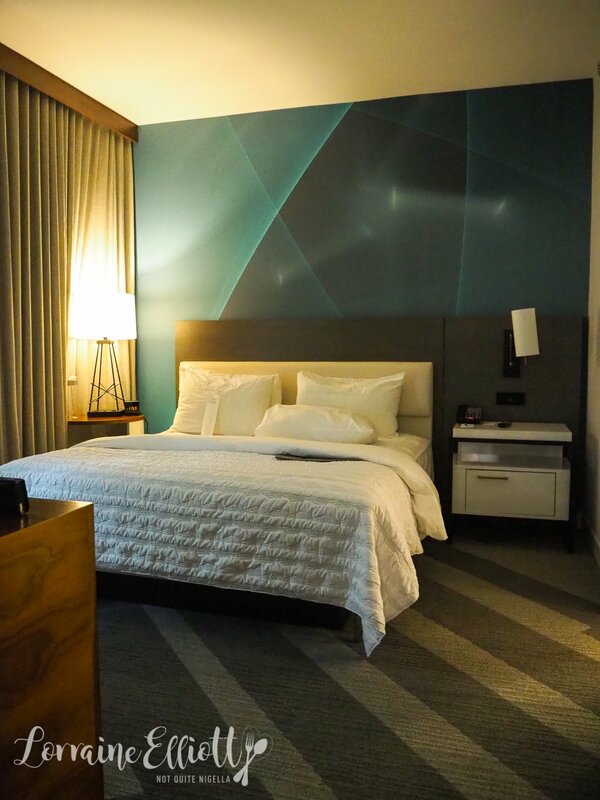 The bedroom features a king sized bed with 450 thread count bedding and a variety of good pillows to rest upon. The bluetooth speaker is easy to connect and there is also a large flat screen television. Slightly hidden away is the closet and safe (behind the sliding mirror door) where there are slippers and robes. 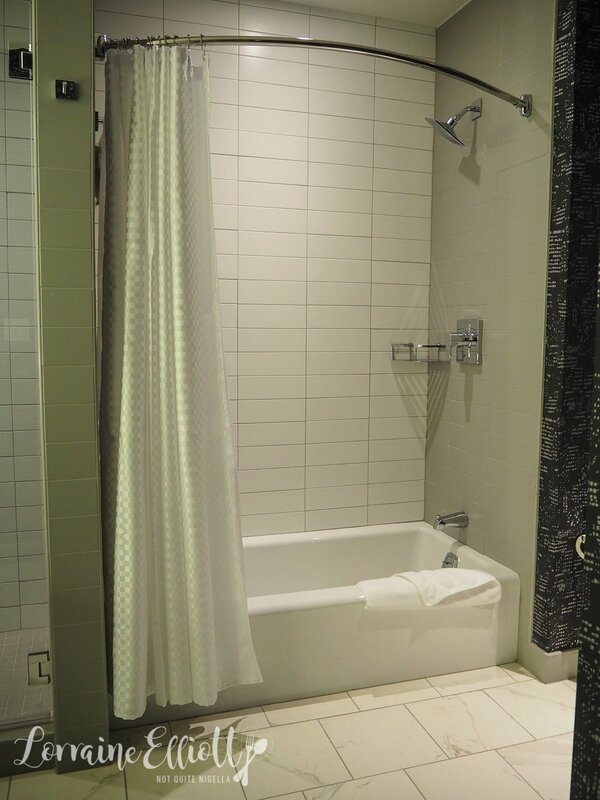 The bathroom is a spacious one with a single sink but two showers. There is a bath shower combo as well as a stand alone shower. Products are by Malin and Goetz and there is shampoo, conditioner, body wash, body lotion and two soaps. The other bits and pieces you'll have to call downstairs for. The only thing missing is free internet but if you become an SPG member you can access the free internet. So tell me Dear Reader, have you spent any time in Houston? Which activity or meal appealed to you the most? Do you watch live sports? And would you want to go to space? 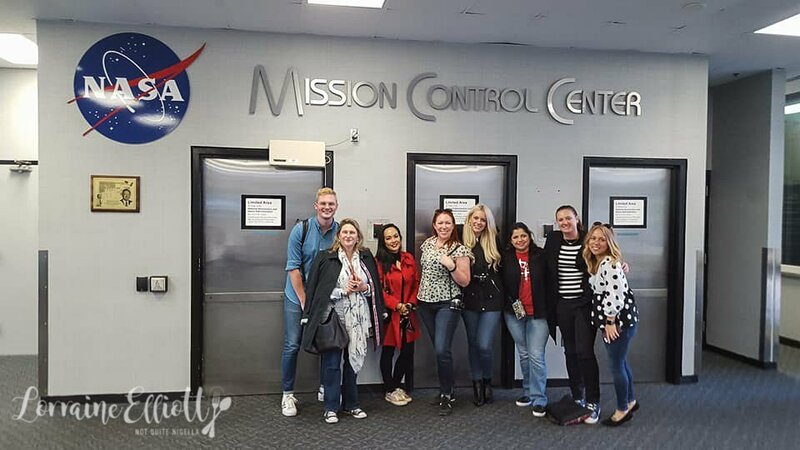 NQN travelled to Houston as a guest of Visit Houston, Texas Tourism and United Airlines, but all opinions remain her own.